Edgewood Elementary has worked very hard throughout the school year. Their 5th grade students are focused on being college bound and look forward to taking part in the school’s College Commitment Ceremony on June 10th at Baker College. Edgewood Elementary is also very proud of fifth grader Elijah Green. 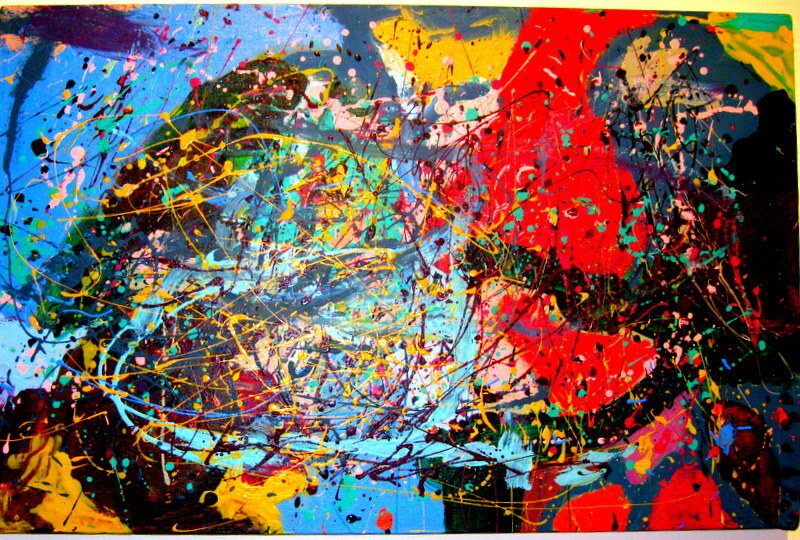 His art work was featured at the Muskegon Museum of Art and was recently purchased by the Muskegon Area Intermediate School District for display in their building. Great job Edgewood Elementary Students! Elijah Green, a fifth grade student at Edgewood Elementary School Art work. 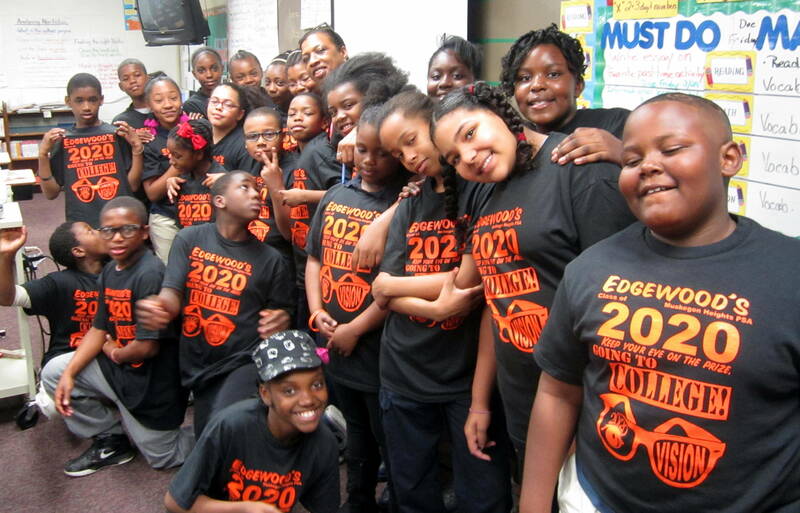 5th grade Edgewood Elementary students in their “College Vision” t-shirts.